There are 21 types of foxes around the world. A particularly interesting one is the fennec fox. 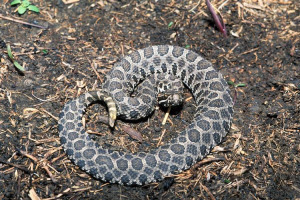 One of the world's rarest rattlesnakes, the Massasagua rattlesnake, was spotted in Wisconsin recently. The snake, one of two species of rattlesnake that can be found in Wisconsin, was discovered by a Jackson County Forestry and Parks employee. This has been the fifth sighting in the past three years. Before that, the snake was missing for over 30 years, and for this reason, scientists are very excited about this uncommon encounter in Jackson County. The highly-poisonous black widow spider received its name from its black color and because female black widows eat the males after mating.